Disney Park Princess Tees (New Designs!) Only $13.99! Headed to Disney park this holiday season? Right now on Groopdealz you can score one of these Disney Park Princess Tees with new designs for only $13.99! 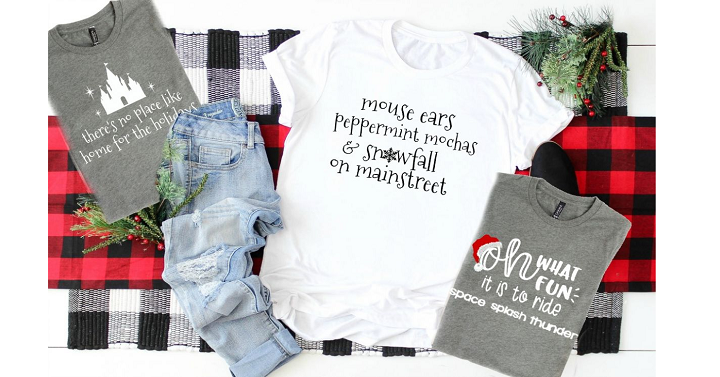 Wear with your favorite jeans, shorts or leggings are you enjoy the park and spread holiday cheer! Shipping is just $3.85 for the first item and $1.99 for each additional.